Noamweb Review 2019: Is Noamweb a Good Hosting? Italian webhost, Noamweb, offers shared Linux and Windows, VPS, dedicated, and cloud hosting for professional applications. 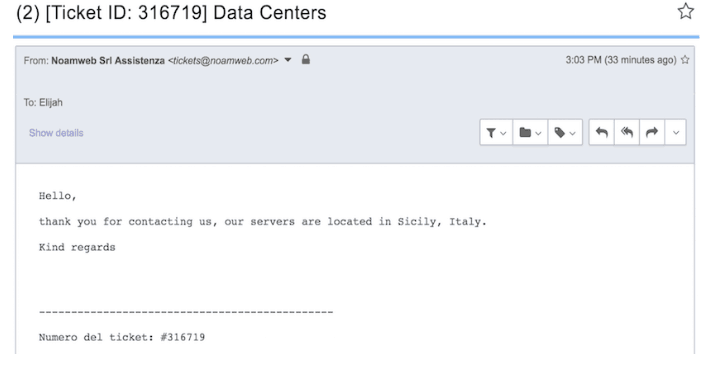 Its server center is located in Italy but it also has points of presence across Europe, the Americas, Asia, and Africa. The website is in Italian. Noamweb is an Italian web hosting provider founded in 2001. It specializes in web hosting and domain registration for SEO professionals, webmasters, programmers, and retail businesses. Its main server facility is located in Sicily, Italy and it has three fiber optic connections to a main internet backbone, totalling 7.5Gbit per second. It has other data centers and points of presence in Europe, the Americas, Africa, and Asia. The most affordable plan is the shared Linux plan, which starts with 2GB of disk space, 20GB of monthly traffic, one free domain, three email accounts, three MySQL databases, and more. Linux plan data allowances increase up to 20GB disk space and 200GB of monthly bandwidth. Shared Windows hosting plans start out with 5GB of disk space, 50GB of monthly traffic, and more email accounts and databases than the Linux plan. Windows data packages increase to 20GB of disk space, 200GB of bandwidth, and unlimited emails, subdomains, FTP accounts, and both MySQL and SQL Server databases. If cloud hosting appeals more to you, Noamweb offers personal and professional cloud hosting plans. The lower priced entry-level plan includes: one CPU, 512MB RAM, dedicated IP address, 20GB of disk space, 100GB of traffic, and a Vesta control panel. The VPS and dedicated hosting plans increase the power and hardware alloted to you and are there should you need a maximum level of processing power and data capacity. Pricing for Noamweb hosting plans is very reasonable, with its shared Linux plans being the most affordable. The price for the entry-level Linux plan is less than a cup of coffee per month, which is lower than many of the top European and international hosting providers. For this price, you’ll receive a basic level of data and features, which should be sufficient for many simple websites and email requirements. Choosing a shared Windows-based hosting plan will increase your financial outlay quite a bit, however these plans also come with more data and other features. Your choice between the two will depend on your technical requirements as well as personal preferences. Payment plans for shared plans (Linux or Windows) can be made annually, biennially, or triennially, and all include a free domain. Cloud plans can be paid for monthly, quarterly, semiannually, annually, biennially, or triennially and include a free domain as well. Customer support is offered via ticket on a 24/7 basis. I reached out to sales support through their online contact form and received a reply within a couple of hours. Noamweb is an Italian web host whose services are geared towards professional users.Pricing is very competitive and while some plans offer monthly or quarterly payment options, others are only by the year or longer. All-in-all, Noamweb has a solid offering of services and should be considered for your hosting needs. 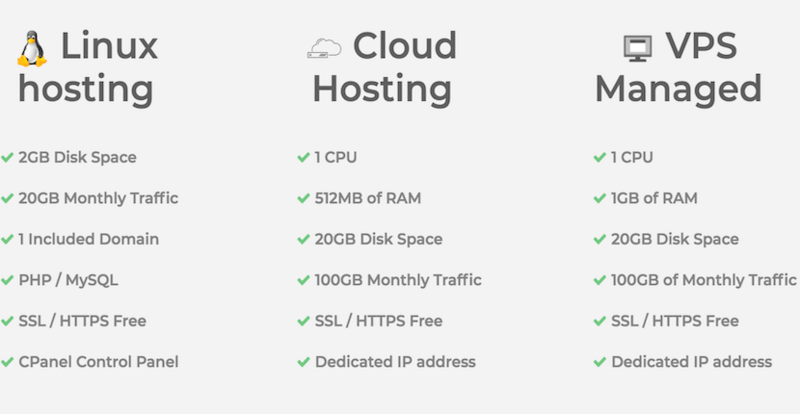 Wondering how Noamweb stacks up against other Web Hosting companies? Enter any other Web Hosting company and we will give you a side-by-side comparison.